Here at HastonWilliams, we base our entire process on the idea that massive databases of potential employees will not generate the same candidates as good old-fashioned relationships. We’ve been leaders in the Dallas- Fort Worth, Texas area staffing industry for over 30 years, forging and polishing these types of relationships along the way. Because we stake our reputation on every candidate we endorse, you can be sure we’ve done our homework. 12/18: The 2018 North Texas CPE Event was a hit! Approximately 200 DFW financial leaders attended this event hosted by Weaver, HastonWilliams and Wells Fargo on 12/6/18. Excellent presentations! Revenue Recognition was presented by Jody Allred, Weaver and Chad Valentine, Weaver; Federal Tax Update by Rob Myatt, Weaver; Investment Banking and IPO Readiness Panel- Dale Jensen, with Weaver was the moderator and the panel speakers included Steve Barts, DLA Piper, Brian Reed, Weaver and Paul Wolfert, Wells Fargo. The Keynote Presentation-Economic Outlook was presented by Charles Dougherty with Wells Fargo. Thank you to everyone that participated! 6/18: Honored to be a panel speaker for FEI Dallas Chapter Career Management 2018: Dallas Strong. 5/2018: DFW CFO Colleagues & Cocktails Social Event! Hosted by the HastonWilliams Team. Our team is looking forward to catching up with everyone. Seeing old friends and making new ones! 12/5/2017 North Texas CPE Event presented by Weaver and HastonWilliams. Big thank you to our attendees, speakers and the Weaver team!!! Great to see everyone and great content. Next event in January. Thank you to our DFW CFO network and friends for your support, business and friendship this year. Great turn out! DFW CFO Breakfast 4/20/17. Huge thank you to our co-sponsor, Weaver, and to our guest speakers. Event-April DFW CFO Breakfast: The Impact of the Economic & Political Environment on Middle Market M&A Activity & Valuations. Hosted by HastonWilliams & Weaver. 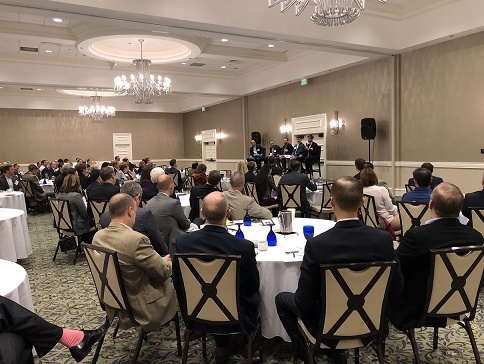 Thank you to our co-hosts and to our awesome speakers: Dale Jensen, Weaver; Brian Reed, Weaver; Andy Foskey, Transition Capital Partners; Colt Luedde, Gulfstream Group and Scott Colvert, Trinity Hunt Partners. DFW CFO Breakfast Event Wrap-up! 2.3.17. Thank you to the UMB Bank team!! Speakers, KC Mathews and Eric Kelley, both with UMB, gave an excellent presentation and discussion. Our DFW CFO members enjoyed this exclusive event for the 2017 economic forecast covering trending economic topics – from potential bubbles and what history has taught us, to industries and indicators that influence today’s economic growth. They gained insight into the economic environment for the year ahead, and obtain information to help make effective planning and investment decisions. Thanks again UMB. Awesome Event : The Art of (Preparing for ) the Deal. Thank you to Robert Rough, Managing Director with Telos Capital Advisors. Thank you to our panel of experts, Paul Braswell- Ferbuson, Braswell & Fraser; Bernie Carrico- Telos Capital Advisors, and Shei Unger - BNY Mellon Wealth Management. Thank you all for sharing your expert knowledge with our local senior financial leaders. DFW CFO Happy Hour Wrap-Up! Great evening of fun and networking. 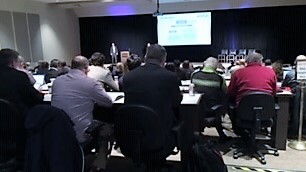 Over 80 DFW CFO members and friends attended. Congratulations!!!! This month Debbie Williams celebrates 25 years of successfully recruiting professionals in accounting, finance and Human Resources. This impressive journey throughout the years would not have been possible without the incredible support from local business professionals and friends. Her passion and ultimate desire to truly help others succeed is and has been the cornerstone to the success of HastonWilliams. 5/18/2016: DFW CFO Breakfast Event Wrap-up. 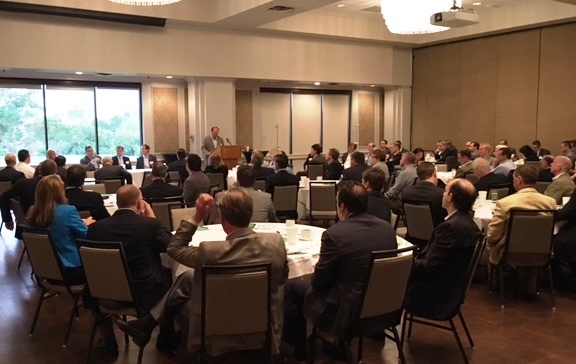 Record setting Attendance -5/5/16 DFW CFO Breakfast Event was crazy successful. Expert panel speakers shared their knowledge and insights with over 110 local CFOs, VPs and other leaders. Thank you to our members, guests, speakers and moderator: Jack McCallum, CEO, IntegerHealth Technologies ; Jeffrey Canose, COO, Texas Health Resources ; Ira Hollander, President & Chief Clinical Officer, North Texas Specialty Physicians ; John Kirke, President, Benefits & Total Rewards, IMA Financial Group, and Moderator: Scott Roloff, President, IntegerHealth Technologies. What’s Driving Innovation in Healthcare for Employers? Click below, upload your resume and cover letter and we will follow up with you shortly.